You don't always need an event to celebrate the city you call home, but when you do, it might as well be a four-day street festival. Erieites will flock to State Street for CelebrateErie: 96 hours of music, food, art, and everything else to show off just what The Gem City has to offer the denizens of Northwest Pennsylvania and any out-of-towners curious to see just what this corner of the state can do for four days. 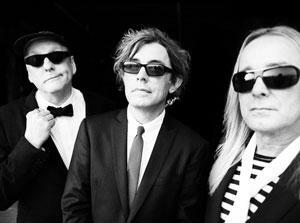 Of course, CelebrateErie will host some notable acts during its run, with Saturday night headliner Cheap Trick, known for hit songs, like power ballad "The Flame" and the rock radio staple "Surrender," leading a group of closing acts that include Michael Jackson tribute act Who's Bad and Sunday's country finale Sawyer Brown. Leading up to the aforementioned trio, however, is a list of local musicians, with the likes of Julia Smolka and the Erie All Stars featuring Eric Brewer, Doug Phillips, Ron Sutton, and other area favorites on Friday, Chasing Moira, Daybreak Radio, Ron Yarosz and The Vehicle, and Jackson Station on Saturday, and the Ruby Port Band, Lucky Dog Band, and Small Town Revolution on Sunday. And those are just the bands playing on the Main Stage at Fourth and State streets, as other acts will perform on stages at 11th and State, 10th and State, and the Perry Square gazebo. In addition to live music, CelebrateErie attendees can visit a Taste of Erie to sample some of the top dishes in The Gem City and wander through the Artist Colony in Perry Square. If you venture south on State Street, you'll come across the Chalk Walk featuring colorful murals right on one of Erie's main drags, and a Kids Zone for the little ones.